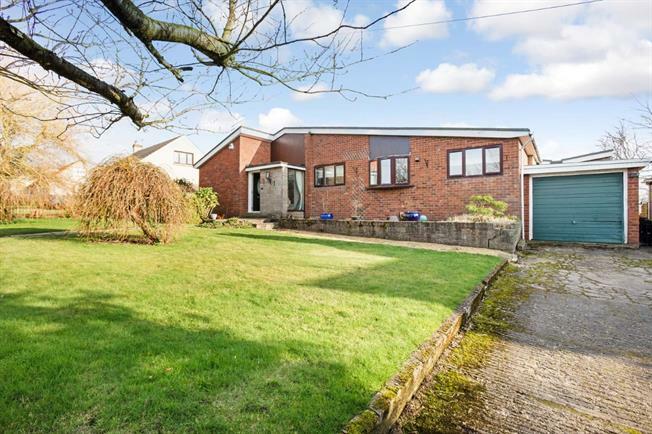 3 Bedroom Detached Bungalow For Sale in Carluke for Offers Over £215,000. Enjoying a wonderful position towards the outskirts of Law this individually built detached bungalow offers an abundance of genuine on the level accommodation with spectacular countryside views. The pleasing arrangement includes: porch, reception hall, vast lounge with vaulted style ceiling, dining room, refitted kitchen leading to an open plan family room with French door access to the rear garden, side vestibule and utility room. The remaining accommodation offers three bedrooms and feature family bathroom with 4 piece suite. The property benefits from double glazing and gas central heating. The premier position ensures substantial garden grounds offering a high degree of privacy with expansive driveway, integral garage and further detached garage. Law offers impressive village facilities with the neighbouring towns of Carluke, Wishaw and Larkhall providing further amenities including train stations. A size and style of property seldom available on the open market early viewing is recommended to avoid disappointment.